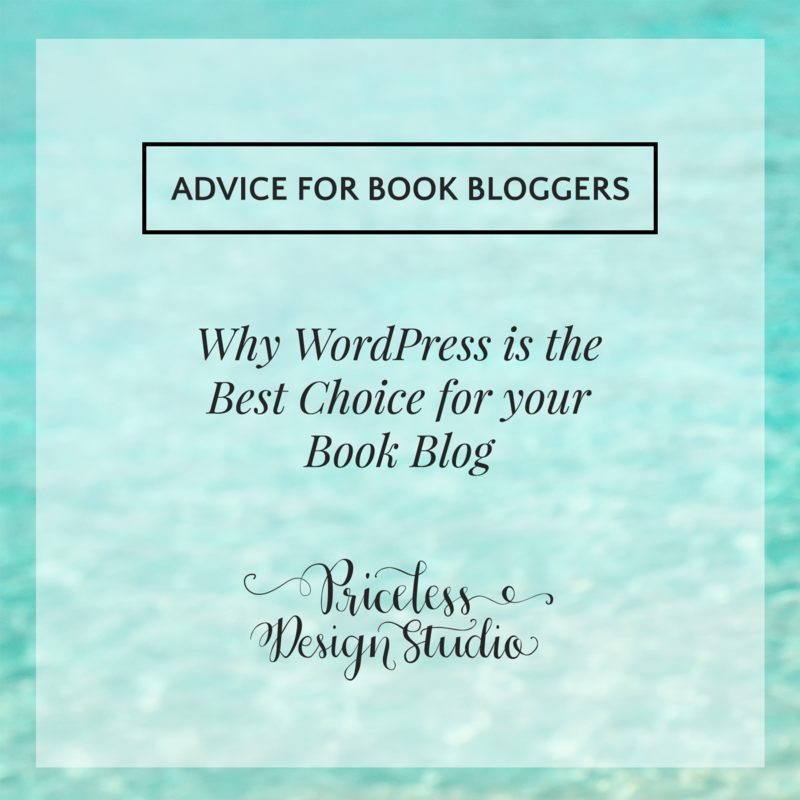 I’ve designed and developed blogs on Blogger, WordPress.com and self-hosted WordPress for my clients and hands down WordPress is the best choice for your book blog. Need some convincing? In this post I’m going to share 5 reasons you should have a self-hosted WordPress site. The cool thing about having a self-hosted WordPress blog, is that you actually own the little piece of the web (the server space) that your site is built on. That means that no one can remove your blog without your permission, unless of course you forget to pay your host. Unfortunately, when you use free web hosts like Blogger or WordPress.com those companies are the owners of that server space and have the ability to remove your blog at any time. If you haven’t read my post on how to protect your Blogger book blog from getting shut down, go read it! Even though there are lots of options for more advanced users, the WordPress dashboard is really easy to use. If you can create a document in Word, you can write a blog post in WordPress. There are also lots of great resources and tutorials out there specific to using WordPress. The beginner videos from WP101 are a good place to start! Once you have learned more about blogging, those advanced options will be there waiting for you. By starting on a self-hosted WordPress account you will be setting yourself up for success from day one! With WordPress, there is a plugin for almost everything! Want to have an Amazon search bar on your sidebar? There’s a plugin for that. Want to connect with Goodreads or Instagram? There’s a plugin for that too. Plugins are easy to install and setup without ever touching a line of code. And the best part is that most are free! Search Engine Optimization (SEO) is a breeze with WordPress! If you use a premium framework like Genesis, you can be confident that the proper HTML structure is there so that search engines can easily find and share your content. More advanced bloggers can also install the free Yoast SEO plugin which helps you set keywords, meta description, and social sharing options for each post. You can even select the exact image you want shared to Facebook! Let’s be honest. Whether you use a pre-made template or hire a professional web designer, sites built on WordPress blogs just look more professional. That’s because your designer can have complete control of the code for the site. StudioPress Themes: Professional & Modern. Or if you want something a little more custom, be sure to check out my book blog design and author website design services!